We are a top-notch organization, engaged in providing Compressed Air Validation Service. Our reputed entity is engaged in supplying Compressed Air Validation service. We provide COMPRESSED AIRTESTING for the parameters like particulate, matter due point, oil misk, and Carbon dioxide, carbon monoxide, moisture, Oxygen and particle count. 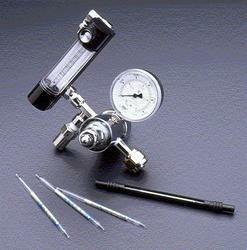 From our wide consignment, we are affianced in supplying Compressed Air Validation Service. He demand for compressed air quality depends on its usage. In some industries extremely high quality air is of utmost importance. We have the tools to validate compressed air in accordance to iso8573 with respect to: dewpoint, oil carryover, moisture content, particulate burden. We are amongst the most reputed names in the industry, offering Compressed Air Validation Service. Our company has been successful in winning appreciation from the clients as one of the most prominent names in the trading of Compressed Air Validation Service. Banking on our enriched industry experience, we are able to supply Compressed Air Validation Service. 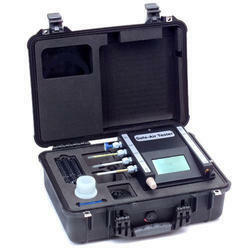 We are a top notch supplier of Compressed Air Validation Service. We can test all parameters(water vapor, Dew Point, oil mist, co, Co2, Viable and Viable Particulate Count, So2, Nox) at Compressed air User points. In order to meet excellent quality standards, we are supplying Compressed Air Validation Service.